He never suggested that His followers could die for sin, either their own or others sins, as He would do. But He insisted that following Him meant self-denial, suffering, rejection, and perhaps even physical death. The way of the cross is not only for Jesus but for us. Or to put it another way: Christ’s death is of value only to those who are willing to die to themselves and follow Him. 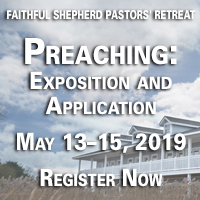 Here is a great deficiency in today’s evangelical church. Several years ago I wrote book called Christ's Call to Discipleship in which I started by noting this fact. I wrote that book in 1986, but the situation is no better today. It is probably worse. What is the problem? It is that we do not like this kind of teaching. Prosperity? Yes. Victory? Yes. But suffering? Death? The cross? We do not like those things, but we must learn again that there is no true Christianity without them. When Jesus says that his followers must be willing to deny themselves and take up their crosses and follow him, he is saying that those three items go together as a composite picture of what being a disciple is all about. Let’s take a deeper look at the first two of these three items in the remainder of today’s study. l. Self-denial. When we think about what it means to deny oneself, we are at one brought to the radical distinction between a God-oriented life and a life of unrepentant self-seeking or sin. Self-seeking is the opposite of self-denial, and the problem with self seeking is that it has been the essence of sin from the beginning. It is what caused the fall of Satan. Satan said, “I want my way. I am going to displace God. I am going to rule the universe.” God replied that Satan would actually be brought low (Isa. 14:13-14). Jesus said, “I will go down in self-denial. I will abase myself in order that those I love, might be lifted from sin to glory.” As a result, God promised that Jesus Christ would be exalted. He would be given that name which is above every name, so that every tongue would confess that “Jesus is Lord” (Phil. 2:11). 2. Taking up the cross. It is not only that we are to say “No” to self, which is what denying self is all about. We are also to say “Yes” to God, which is what taking up our cross involves. Some speak of cross-bearing as if it means enduring the inevitable. But that is not it at all. There are all kinds of things that cannot be avoided: a physical handicap, a deficient academic background, a drunken husband, a profligate wife.v People sometimes refer to such inevitable limitations as “my cross,” but they are not crosses. Cross-bearing involves prayer and Bible study. These necessary means of grace take time and must be voluntarily chosen and pursued, rather than other pastimes that we might humanly prefer. Cross-bearing involves the items Jesus lists in Matthew 25: feeding the hungry, giving drink to the thirsty, receiving the stranger, clothing the naked, caring for the sick and visiting the one who is in prison (vv. 31-46). These things are not easy to do. They involve denying oneself time, money and convenience. At times they seem useless, because the gifts are abused and the one giving them is slighted even by the one he helps. We are to live like this anyway, because doing it is saying “Yes” to Jesus. It is taking up our crosses in his service. Essentially, taking up our cross means accepting Whatever God has given us or made us and then offering it back to him as “our reasonable service” (Rom. 12:1). That phrase from Romans 12 is in a passage that describes us as God’s priests making sacrifices which are “holy and pleasing” to him. Priests offer only what they have first received. They take the gifts of the worshiper and then offer them up. We are in that position. The gifts we have are from God. We take these gifts whatever they may be and offer them back to God with thanksgiving. 1 See Matthew 10:37-39; Mark 8:34-37; Luke 9:23-27; 14:25-27; 17:33; John 12:25-26. 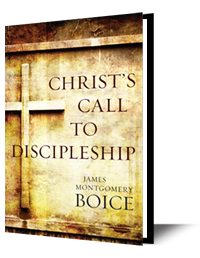 2James Montgomery Boice, Christ’s Call to Discipleship (Chicago: Moody Press, 1986), p.13. Discuss the contrast between self-seeking and self-denial. Explain the activities that comprise taking up the cross. How do these acts differ from what is generally meant by cross-bearing (e. g., enduring an abusive spouse, etc.)? What does it mean to die to yourself and your plans? Consult other passages in formulating your answer to this (e.g., Matthew 10:37-39; Mark 8:34-37; Luke 9:23-27, 14:25-27, 17:33; John 12:25, 26).